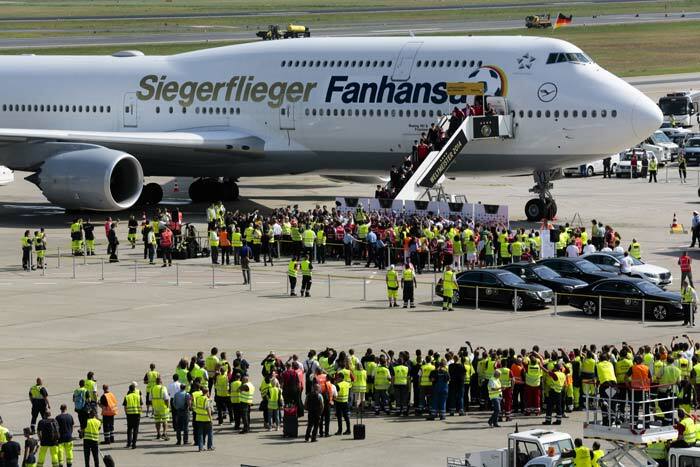 A victorious German team was greeted by jubilant fans as they returned home after winning the FIFA World Cup. 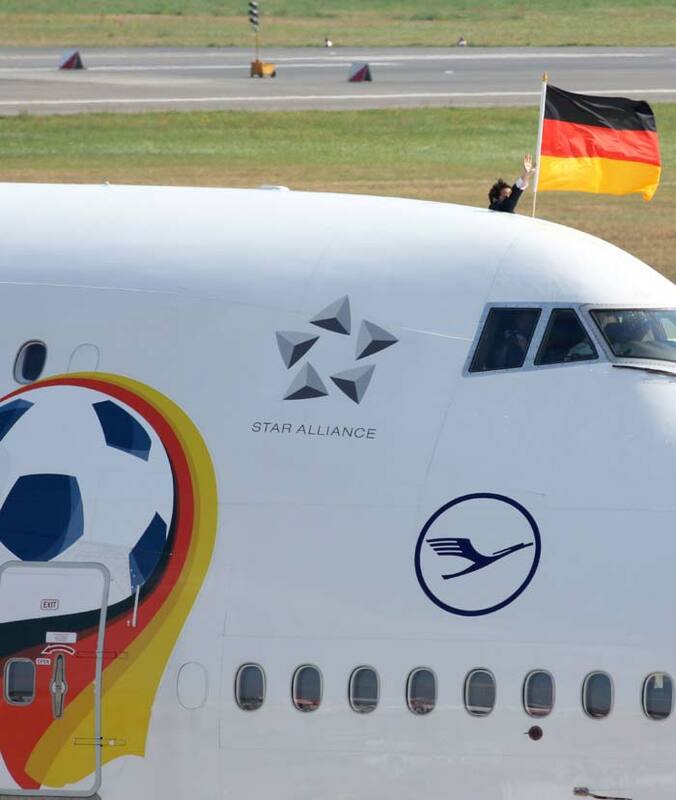 A close-up shot of the plane in which the German players were travelling. 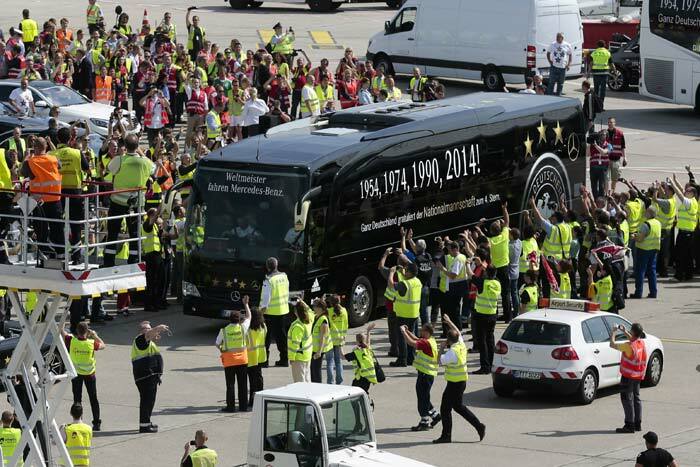 The expectation was high as the fans eagerly awaited the arrival of their heroes. 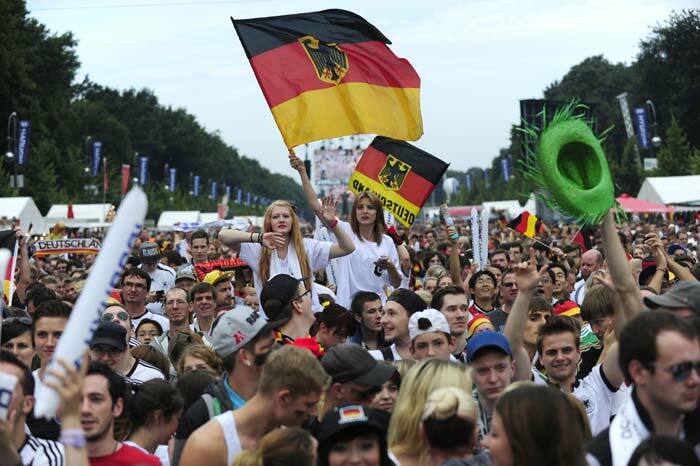 The team's plane touched down at Berlin's Tegel Airport midmorning after circling the "fan mile" in front of the landmark Brandenburg Gate. 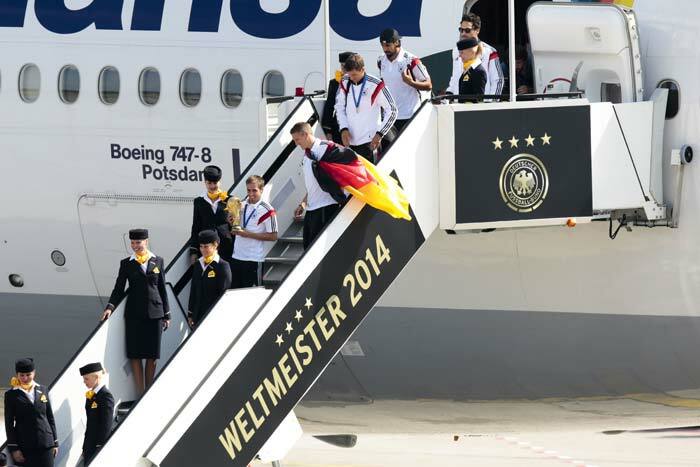 The team's plane was about an hour behind schedule, its departure from Rio de Janeiro delayed after a luggage truck hit the aircraft and damage to the paintwork had to be inspected. 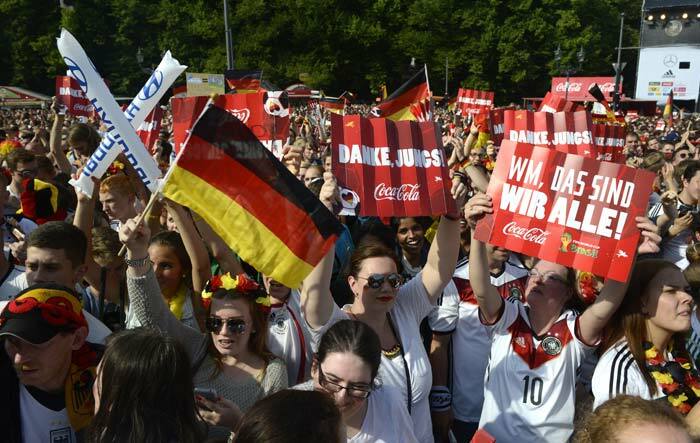 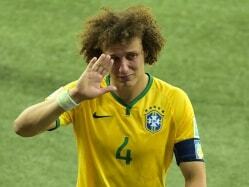 The players shared the joy of the fans as they acknowledged the cheers to indicate how much they meant to them. 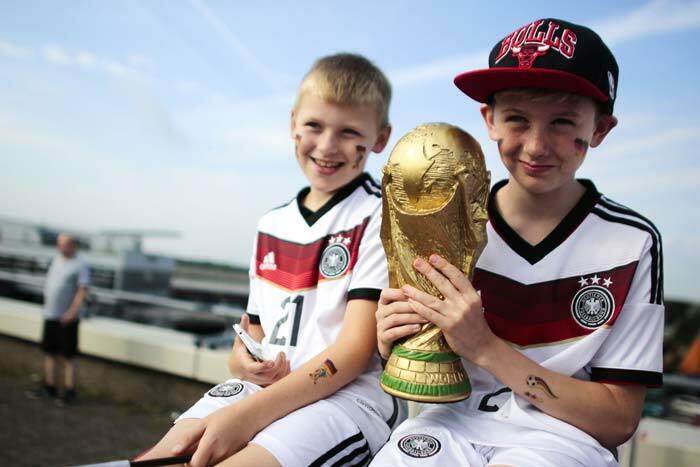 Two young fans with a replica of the World Cup trophy displaying their enthusiasm. 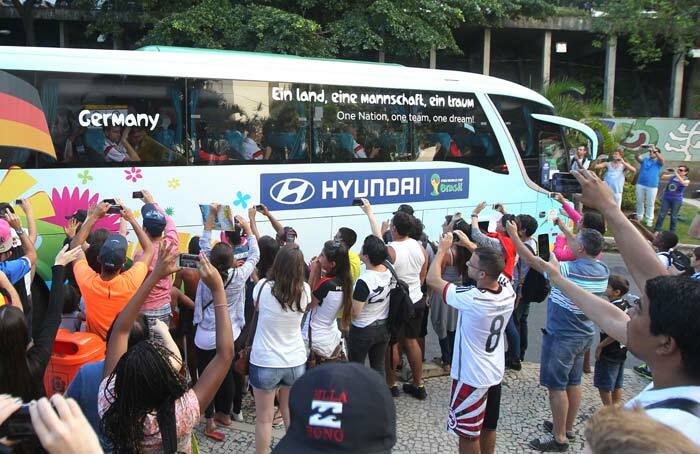 Fans chase the Germany team bus as they cheer their players on. 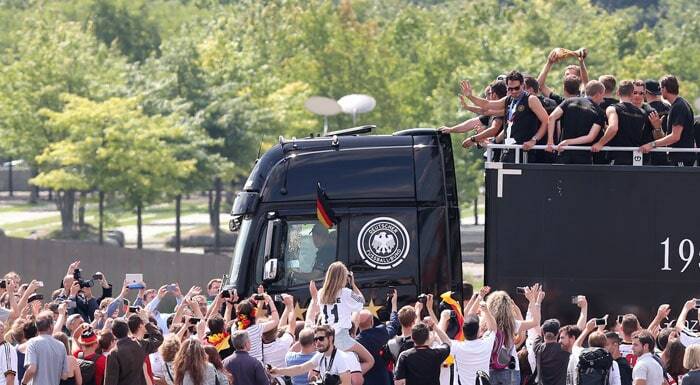 The German players are cheered from the open team bus as they pass through the streets of Berlin. 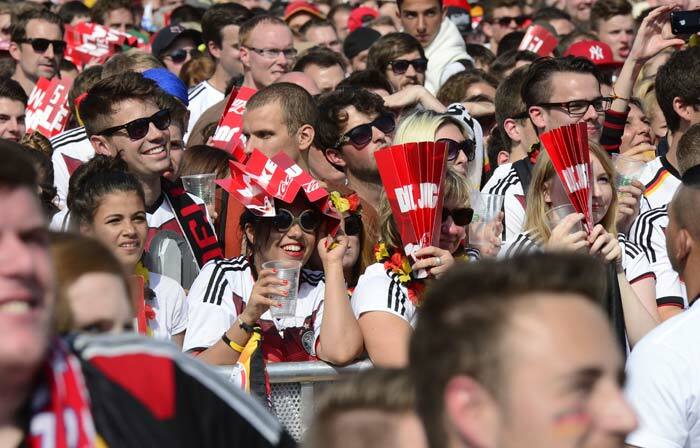 The German flag is waved with pride as the fans welcome the four-time world champions.